After the University of Oregon fires Matthew Halls, it pays him $90,000 – but only if he keeps his mouth shut. And the crisis remains. And then the lawyers swept in. The wording was smooth and soothing and just a little sorrowful – “We appreciate Mr. Hall’s (sic) many positive contributions to the festival … Everyone at the University and OBF sincerely wish nothing but continued success for Mr. Halls” – with no mention that the university had, in fact, fired the festival’s artistic director on August 24, with no stated cause, a mere two months after extending his contract, with a raise, for four years. It was a broken prophylactic of a statement, a reassurance after the unfortunate fact, a monument of untethered platitudes, and it had all the earmarks of having been vetted within an inch of its life by a squadron of administrators and lawyers. Then, on Thursday, the lawyers’ work ambled into full view in the headline to Saul Hubbard’s news story in Eugene’s Register-Guard: “University of Oregon agrees to pay Matthew Halls $90,000; Halls agrees not to disparage UO.” Translation: You shut up; we’ll pay up. It is a very lawyerly deal, designed to solve an immediate crisis, avoid the courtroom, and let the players move on. With the pay-not-to-play solution, you might almost have thought Halls was a football coach. Rumors are rampant in the case of Halls’s firing, and unfortunately, given the zipper that seems to have sealed all lips, they are bound to remain both rampant and rumors. 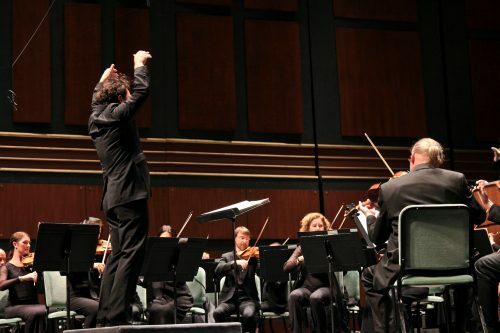 Yes, the Bach Festival has lost a big share of its audience and has financial worries since founder Helmuth Rilling retired in 2013, and although the festival had made plans to downsize and realign its finances, maybe Halls is simply the fall guy for that. But if so, why extend his contract? Yes, the leader who replaces a charismatic leader/founder (the German conductor Rilling led the festival from its inception in 1970 until his retirement) is often tried and found wanting for not living up, in supporters’ eyes, to the Great Person. Surely there was grumbling, especially since Halls had steered the festival toward historically informed performances, an approach that Rilling, who advocated a large full sound, resisted. But, again: Why, then, extend the contract? Still, considering the university’s and the festival’s almost complete lack of transparency, the “something happened” explanation is at least plausible. But what? And on whose side? Somewhere in Eugene, no doubt, a small number of people know what “really” happened. But they’re not talking, and neither is the university, and there is no proof of anything, except for that lawyerly buyout. And unless and until someone spills, that’s the way it will remain: a $90,000 secret. It’s very possible, of course, that the “something” that happened came not from Halls or the festival, but from the university itself, which may simply have decided that the festival and its funding problems were more trouble than they were worth. If so, no one’s talking – or at least, no one’s talking straight. No one’s even sure who at the university made the decision to fire Halls, and part of the payout deal seems to be an attempt to keep a lid on any such information getting out. The Register-Guard’s Hubbard, citing the New York Times, reported that the agreement “specifies that both the UO and Halls must give each other 24 hours notice when they receive press inquiries. The university must give Halls the same notice if it receives requests for public records. Both parties will respond to such requests ‘in a cooperative manner’.” That suggests strongly that it’s the university, not the festival, calling the shots. While the festival has a 17-member board, it is advisory. Eugene Weekly’s Keefer reported that the board, made up largely of big donors, didn’t learn about the firing until after the fact. “I’m still in shock,” board chairman Brad Stangeland told Keefer. Isolated rumblings have risen that Halls has a temper, and it might have gone off at the wrong time in the wrong place to the wrong person. Maybe, maybe not. Tempers flare. I’ve known a conductor or two whose egos were the size of Texas and Oklahoma rolled together. Good lord, this is a profession whose practitioners are routinely called “Maestro,” often with a barely disguised genuflection in the tone. Yet the musicians I’ve talked with or seen comment on the situation seem genuinely to have admired Halls and enjoyed working with him. And he seemed well-liked in Eugene music circles. Still, silence can seem damning – and worse, duplicitous. By continuing to duck the issue or being evasive when it does speak, the university seems to more and more people like the Bad Guy. It has created, at the very least, a public relations debacle, and to extricate itself it needs to change course. It should talk straight, apologize for its attempts to happy-talk itself out of the situation, and offer the public an honest assessment of what happened and why. If it is legally prohibited from commenting, it should say specifically what contractual or legal obstacle makes that so. It should state clearly, as a public institution, whether any public money was used to fund Halls’s $90,000 payout. It should, absolutely, identify the person or persons who made the decision to fire Halls. Secrecy hurts in many ways. Halls is a rising star in the music world, with an international reputation, and the appearance is that he was fired for no discernible reason. Under the circumstances, who of substance, even in a “guest curator” situation, will be willing to take his place? How many guest performers and other musicians of note will now want to perform at the festival? Already there are rumblings of an exodus. Has the festival assured through its actions that it will become, if it survives, simply a regional educational event, without the ambitious reach it once enjoyed? As crucially, considering the public relations damage that has already been done, can the festival regain the public’s trust? This is a mess. And it needs actual solving, not just a lawyerly brushing-up of the crumbs. You’ve provided an excellent summary of the mess, Bob – clear and comprehensive. I’d still love to know where the idea to emulate Ojai originated, which would surely tell us something. Someone at OBF or the University was seized by the guest curator idea – or at least decided it would provide a compelling explanation of the decision to terminate Matthew Halls. (Wrong.) Surely not a provost or university administrator…..Ms McCoy? Drew McManus mentions Founders Syndrome. Royce Saltzman? Excellent question, Elaine. We’ll see if anything pops out. Simply put, if I was an OBF donor, I wouldn’t be one now. Why has the Bach Festival website been stripped of virtually any mention of Matthew Halls? Photos are gone, there are strange gaps in the news archive, videos of Halls are disabled. This goes deeper than just removing his bio from the “About Us” page. This is an action done deliberately, very recently, and it reeks of a certain kind of spiteful retribution. 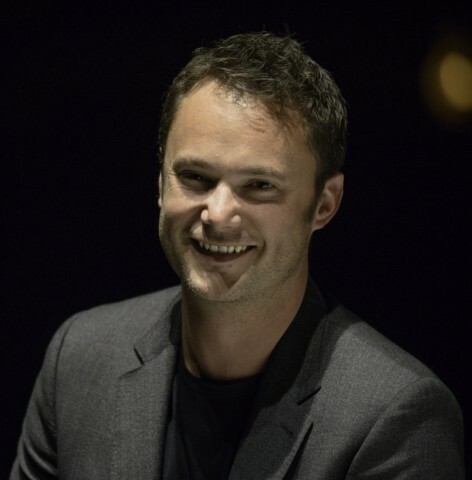 The search for Matthew Halls as a successor to Helmuth Rilling was not undertaken lightly. He is part of the history of the Oregon Bach Festival. It seems that someone there doesn’t like that very much. If the biggest donors to the OBF are the board members, and none of them were informed of the decision to fire Halls, maybe the board should publicly withdraw all support from the University’s OBF and approach the Portland Baroque Orchestra with a proposal to relaunch the festival away from the University (and, alas, maybe away from Eugene). Thank you for a concise description of the events and the problems they create. Since we do not know what happened here’s the story I choose to tell myself: UO fired Halls because of bad behavior. Given their reluctance to act in this way historically, I will trust that firing him was warranted. There is an immense pool of musical talent and vision that can be tapped. OBF can and will recover, and if I am really dreaming, it will be better under a new baton. Curiously, seeing as you have a story somewhat in-place, what sort of bad behavior have you written into your script?